Iceland’s Malignant Mist play staccato, very loud and abrasive, in your face technical death metal in the vein of Meshuggah. Like Meshuggah, Malignant Mist structure their songs around bludgeoning riffs, loud vocals, breakdowns that don’t quite wander into deathcore territory, and the occasional blastbeat. 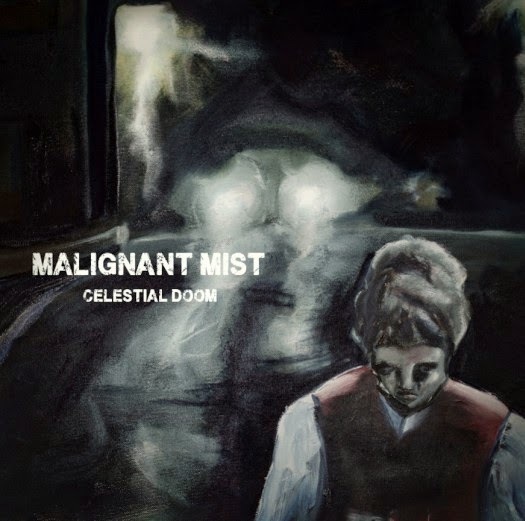 Celestial Doom, Malignant Mist’s debut EP, is done well enough, and will undoubtedly appeal to fans of Meshuggah and similar bands. But, I suspect that just about everyone stumbling across this band’s name, or the name of this EP, for that matter, are going to have a few moments of confusion. Kam Lee probably needs no introduction to those familiar with the history of the Florida death metal scene, but Lee has always struck me as a figure that always seemed to be on the verge of hitting it big, but never managed to do so. Lee has been involved with a number of OSDM Swedish bands over the last few years, and The Grotesquery appears to be his focus for now. Although The Grotesquery have two-full-lengths under their collective belts, Cult Of Cthulhu Calling is a two song single of bludgeoning, slow to mid-paced death metal belying a fascination with all things Cthulhu Mythos. Although not exactly original, The Grotesquery hit with the proverbial two-ton weight with a crushing assault of slow to mid-paced death metal that is all too short.